Perkins: "THE MOST BRILLIANT LITTLE VICTORY: Nelson's Eastern Kentucky Campaign of 1861"
Very few authors have written extensively on the Civil War in East Kentucky. Until now, both of the region's most significant early war campaigns -- the fall 1861 Big Sandy River expedition of William "Bull" Nelson and James A. Garfield's winter offensive that followed it by mere weeks -- lack full studies. Coverage of their respective key battles, Ivy Mountain for Nelson and Garfield's Middle Creek, is similarly sparse. Thus, Marlitta Perkins's fine campaign history The Most Brilliant Little Victory: Nelson's Eastern Kentucky Campaign of 1861 helps bridge a rather large void in Kentucky Civil War historiography. In September 1861, General Nelson assembled a new brigade of Ohio and Kentucky volunteer regiments in Maysville, Kentucky. Over the next two months, Nelson steadily cleared rebel forces from the far eastern part of the state, frequently dividing his command to cover a wider area and to threaten with capture the much smaller Confederate military presence in the region led by Colonel John S. Williams. On November 7, Nelson encountered a well conceived Confederate ambush at Ivy Mountain. The advancing Union forces recovered quickly, driving off the Confederates with relative ease, the latter's surprise and terrain advantages unable to offset fatal deficiencies in arms, artillery, numbers, and organization. Williams retreated to Pound Gap on the Kentucky-Virginia border but the victorious Union army did not follow up its success. Instead, Nelson quickly abandoned his army's hard won territorial gains, allowing the Confederates to return. Perkins's narrative of the above series of events offers a thorough day-by-day account of a physically arduous campaign, one characterized by long marches punctuated by the occasional skirmish and one small battle. Belying the traditional understanding that a conciliatory policy was enforced during this period (especially in the ostensibly loyal Border States), civilian property was frequently targeted during the march. The author's research is more than solid, her archival findings skillfully integrated into the fully footnoted text. A subset of readers might wish for a more detailed terrain and tactical analysis for Ivy Mountain, but the main features of the battle are adequately presented. Perkins devotes a similar amount of space in the book to the withdrawal of Union forces from the region as she did to their advance. It is fine work and illustrates well the logistical shortcomings inherent to inexperienced armies moving back and forth over great distances. The book is well illustrated, with numerous photographs of soldiers and civilians that figure prominently in the text. The study's set of operational scale maps, with the author superimposing march routes over a period map, are quite good, a key tool in tracing the expedition's progress through a geographical region alien to most Civil War readers. That said, an original Ivy Mountain tactical scale map was absent and really needed given the fight's complex terrain considerations and the near inscrutability of many of the features depicted in the reproduced archival drawing of the battlefield. The most noticeable problem with the book, however, is one common to nearly all self-published works, that of flawed presentation in the form of odd text formatting, typographical errors, misspelled/misused words, and the like. While these distractions can grate, the writing at its core is clear, well researched, and effectively organized. Some rough edges aside, The Most Brilliant Little Victory is an excellent book length history, the first of its kind, of a military operation typically relegated to a footnote in other works and fought in a region largely neglected by Civil War scholarship. The ending may even hint at a follow up volume covering Garfield's expedition, which would be much welcomed given the quality of work demonstrated by Perkins. 1. The Civil War as Global Conflict: Transnational Meanings of the American Civil War edited by David T. Gleeson & Simon Lewis (Univ of SC Press, 2014). In recent years, a few books have explored in new degrees of depth the international dimensions of the Civil War. This one has twelve essays involving a rainbow of domestic and international contexts (countries under discussion include Spanish Cuba, Brazil, Britain, Russia, the German states, Santo Domingo and more) and a concluding round table discussion. Follow the link to view the full table of contents. 2. This Jolly Little Gunboat: The USS Winona On the Gulf Coast and Mississippi River 1861 - 1863 edited by Patrick E. Purcell (Camp Pope Publishing 2014). Students of the naval war on the lower Mississippi will have frequently encountered the 90-day gunboat Winona in their readings. This book is the edited diary of coal heaver (not my preferred seaman job) Montgomery P. Griffis. Editor Purcell contributes both narrative sections and diary annotations. According to the description, there is substantial coverage of river operations between December 1861 and August 1863. Also, a "Coming Soon" note on the publisher's website mentions a pair of titles -- Confederate "Tales of the War" Part 4: Spring 1864: From Winter Camp to Pleasant Hill and Jenkins Ferry as well as a regimental history of the 22nd Iowa. I am intrigued by Michael B. Graham's The Coal River Valley in the Civil War: West Virginia Mountains, 1861 (The Hist Pr, Aug '14). With the Coal River formed from the confluence of the Big and Little Coal rivers and draining into the Kanawha River just west of Charleston, the Coal River Valley potentially comprises a rather large chunk of southern West Virginia. I had to Google Map it to get a rough idea of its extent and didn't find any good historical maps online of what is traditionally considered to be the valley's reach. In this area surely the local population was divided in sentiment so perhaps the book deals with that and one would guess that any 1861 military context would have to be related somehow to Cox's campaign. Given that the 1861 period in western Virginia is among my favorite study subjects, I'm excited by my ignorance of Coal River Valley and am definitely looking forward to this one. Christ & Williams, eds. 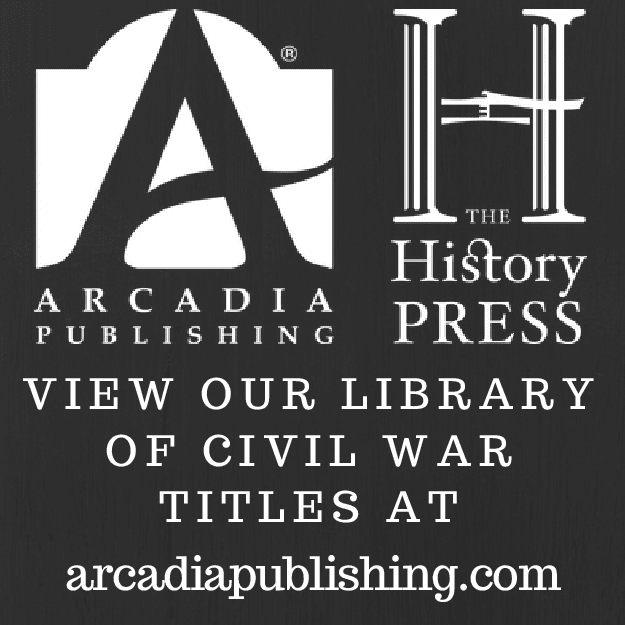 : "I DO WISH THIS CRUEL WAR WAS OVER: First-Person Accounts of Civil War Arkansas from the Arkansas Historical Quarterly"
In commemoration of the Sesquicentennial, article compilations from several state historical society journals have been issued. Tennessee Historical Quarterly is on the cusp of completing ten volumes of selections from issues published between 1942-2010. With a pair of titles, Missouri Historical Review has done the same but on a more modest scale. 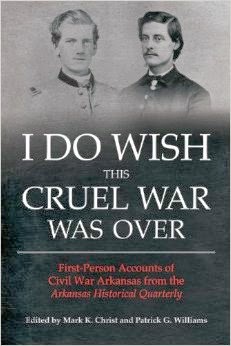 Now Mark Christ and Arkansas Historical Quarterly editor Patrick Williams, in partnership with the University of Arkansas Press, have released I Do Wish This Cruel War Was Over: First-Person Accounts of Civil War Arkansas from the Arkansas Historical Quarterly. It's among the best of the bunch, unique in that it also offers new footnote material. As Williams notes in his introduction, the decision was made early on to limit the selection process to articles dealing with the war inside state borders, leaving out a considerable body of soldier writings pertaining to the fighting east of the Mississippi. Even with this narrowing, unavoidable gaps in coverage exist; however, Arkansas Civil War editor extraordinaire Christ reintroduces from what is available a satisfyingly diverse collection of soldier and civilian diaries, letters, and memoirs. Co-editor Williams perceptively points to much of this scholarship as anticipatory of several current interpretations of the home front experience of the war, among them that guerrilla conflict was the primary way many southern civilians witnessed the war and "hard war" was instituted far earlier than previously credited. Christ's selections, all edited first-hand accounts written by adherents of both sides, cover the war inside Arkansas from beginning to end. Geographical range is similarly comprehensive. 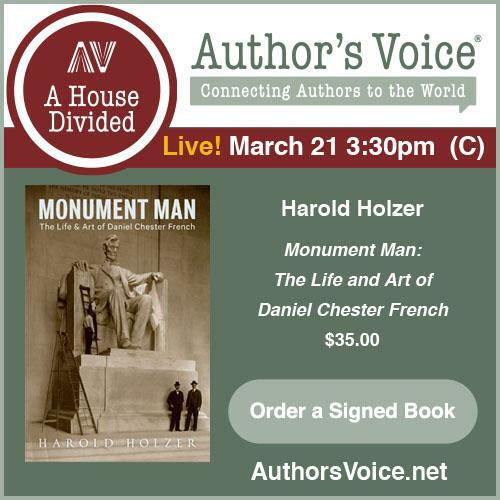 Chapter 1 letters relate how men coped with training camp and the process of becoming citizen-soldiers. 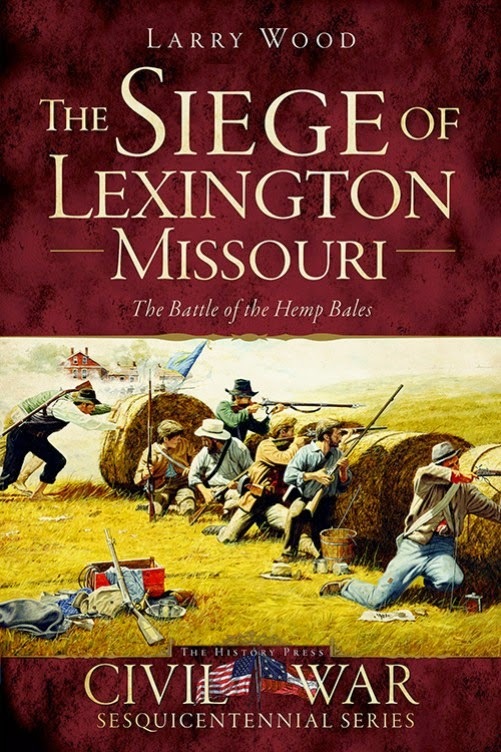 The next chapter involves fighting the early war campaigns in the mountains of northern Arkansas, some of the more evocative pieces documenting Herron's command's remarkable forced march to the Prairie Grove battlefield and the subsequent Van Buren Raid. Chapter 3 shifts attention to central and eastern Arkansas, with army and navy accounts of the Battle of Arkansas Post and soldier and civilian correspondence related to battles and home front issues at Pine Bluff, Helena, Little Rock and Princeton. 1864 is the subject of the fourth chapter, with the Camden Expedition being front and center. Other letters in this section discuss failed attempts to find and defeat Jo Shelby in NE Arkansas, leading black troops (112th USCT) garrisoning Little Rock, and daily life in SW Arkansas. The final chapter records the thoughts of participants on the eve of final victory or defeat and the winding down of the guerrilla conflict. The only region truly neglected is SE Arkansas, a situation mirrored by the general literature's paucity of publications of any kind related to the war in this area. As mentioned before, Christ frequently augments existing footnotes with his own annotations [authorship, original and new, is clearly defined], significantly increasing the value of many of the older articles by updating the scholarship. He also contributes chapter introductions and transitional text. Photographs and a few maps are also included, among the latter a particularly helpful state map with the locations corresponding to the compiled accounts flagged. It is here that the geographical spread of the selections becomes truly apparent. Sure, all of the material in I Do Wish This Cruel War Was Over has been previously published and remains obtainable to scholar and enthusiast alike, but Christ's original editing and scholarship, combined with the fact that the book is a bargain when one factors in the time and costs involved with the interlibrary loan process or in obtaining back issues of AHQ on the secondary market, mark the publication as both convenient and uniquely useful to students of the Civil War years inside Arkansas. Highly recommended. 1. Guide to the Richmond-Petersburg Campaign by Charles R. Bowery and Ethan S. Rafuse (UP of Kansas, 2014). This is the thickest tome yet from the venerable U.S. Army War College Guides to Civil War Battles series, which isn't surprising given how many sites from the massive 1864-65 campaign it endeavors to cover. It has the series's familiar presentation framework but the maps are by Steven Stanley, which is a big upgrade from the others that I own. 2. The Irish in the American Civil War by Damian Shiels (Trafalgar Square Pub, 2014). The time elapsed between Damian offering me a review copy of this book and its actual arrival is roughly the same as the period between when "No Irish Need Apply" placards apparently adorned New York shop windows and the election of President Kennedy. I didn't realize that the author is a conflict archaeologist (sounds like a fascinating career path). The book itself seems to be formatted as a collection of roughly two dozen human interest stories representative of the Irish experience of the Civil War. 3. Stonewall's Prussian Mapmaker: The Journals of Captain Oscar Hinrichs edited by Richard Brady Williams (UNC Pr, 2014). The Hinrichs journals, annotated by Williams, are published here for the first time. A staff officer who worked closely with Jackson, Johnston, Early and Anderson, he experienced the entire war in the east, his writings presumably offering useful personality and campaign insights as well as glimpses into the life of a Confederate topographical engineer not named Jed Hotchkiss. 1. General David S. Stanley, USA: A Civil War Biography by Dennis W. Belcher (McFarland, 2014). This military biography of Stanley comprehensively covers his Civil War service in the Trans-Mississippi and western theaters, at Wilson's Creek, Island No. 10, the Corinth Siege, Iuka, the Battle of Corinth, Stones River, Tullahoma, Chickamauga, Atlanta, and Franklin [at the last place he was wounded and later awarded the Medal of Honor for his actions]. It also deals with his postwar military career as well as his bitter feuds with fellow Union officers. The fine Cox bio that I reviewed recently did not paint a particularly favorable picture of Stanley's character (or Opdyke's for that matter) when it came to the unseemly struggle to decide who would go down in history possessing the lion's share of credit for Union victory at Franklin. One assumes this book will offer the flip side of the coin. 2. Civil War Blockade Running on the Texas Coast by Andrew W. Hall (The Hist Pr, 2014). The title implies a broader study, but the focus of the book appears to be largely limited to the port of Galveston. That said, it looks good and I'm glad to see a Texas title from the publisher as I don't recall too many from their general Civil War catalog or the Civil War Sesquicentennial series. 3. Soldiering for Freedom: How the Union Army Recruited, Trained, and Deployed the U.S. Colored Troops by Bob Luke & John David Smith (Johns Hopkins UP, 2014). I'm unfamiliar with other titles in the "How Things Worked" series, but the subtitle is a good indication of the content of this particular volume. Five chapters explore how black soldiers were initially blocked from volunteering, how they were eventually recruited, what it took for white officers to learn how to effectively lead black soldiers, how the black soldiers were trained, and how they fought. 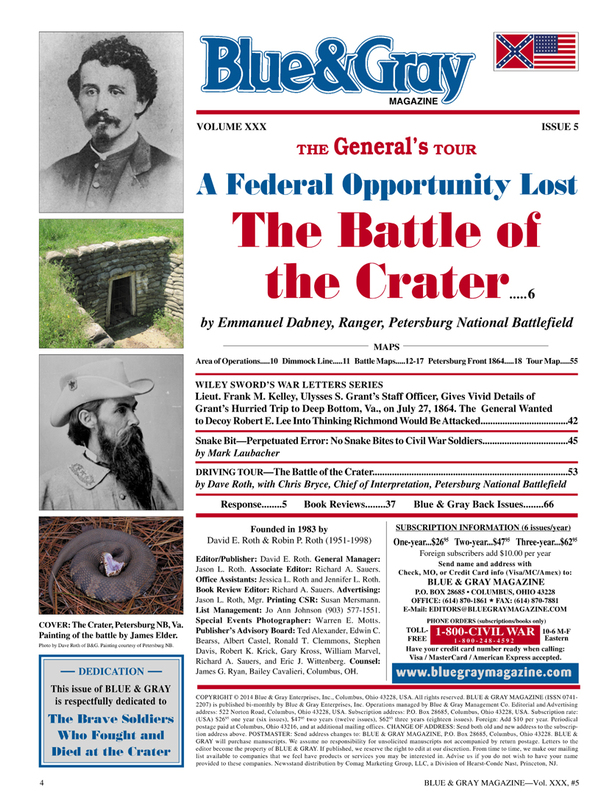 The subject of Blue and Gray Magazine's next feature article and General's Tour is the Battle of the Crater, authored by Petersburg NB ranger Emmanuel Dabney. White: "EMANCIPATION, THE UNION ARMY, AND THE REELECTION OF ABRAHAM LINCOLN"
According to historian Jonathan White, his new study of the soldier vote during the Civil War Emancipation, the Union Army, and the Reelection of Abraham Lincoln is the topic's first book length scholarly treatise to appear since Josiah Benton's 1915 work Voting in the Field: A Forgotten Chapter of the Civil War. The question of whether soldiers should even be able to vote in the field has vexed politicians and citizens since the early years of the republic. At the beginning of the Civil War, only one Union state (Pennsylvania) allowed army voting, but in the wake of Republican electoral defeats in fall 1862, the Lincoln administration and Republican party sought to leverage the soldier vote to their advantage. Thus, with hundreds of thousands of potential voters in the field, a rather quiet, albeit counterintuitive, part of the American democratic process suddenly became a volatile political football. Democrats argued (presciently, as will be seen) that voting in army camps could never be free and fair, but some of their more paternalistic arguments (ex. ignorance stemming from lack of access to information from both sides and inability to escape Republican propaganda in the army's closed society) offended many soldiers in their own party, who felt perfectly capable of understanding the issues of the war and exercising their right to vote. The main premise of White's book is that the character and meaning of the soldier vote in the 1864 elections has been widely misinterpreted as an expression of unity toward administration war aims (i.e. restoration of the Union via any number of means, including hard war policies, heavy restrictions on civilian civil rights, and emancipation). The author effectively challenges the conclusions of several well respected historians, taking them to task for their simplistic views and evidence mishandling on the subject. According to White, several factors need to be considered in order to place the 78% soldier vote for Lincoln in its proper context. 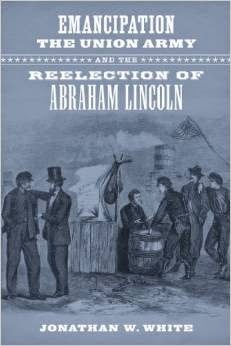 Rather than being indicative of resounding approval of the Lincoln administration's war and societal aims, the author finds that voter turnout, the drumming out of the service of Democratic officers and men in the post-Emancipation Proclamation years, intimidation at the army polls, and the circumstances of the 1864 nonpresidential elections significantly complicate the issue. A common concern with Civil War soldier studies is, given the huge amount of source material available, even large selections can be cherry picked to support just about any argument. White goes some way toward mitigating such objections to his own work by using and citing a vast amount of primary source material to support his arguments, including newly examined court martial records and other government documents as well as a huge volume of manuscript material located all across the country and representing soldiers serving in all major armies and theaters. White's determination that 20% of eligible Union army soldiers did not even vote in the presidential election (the 78% figure applying only to soldiers that did vote) casts new light on claims of solidarity in the military. According to what is made clear in many letters and diaries, the pairing of War Democrat McClellan with Peace Democrat Pendleton on the presidential ticket led many solidly Democratic soldiers (who rejected the peace elements of the national party platform) to vote for Lincoln as a one-time event, a 'lesser of two evils' protest vote for the restoration of the Union, or not vote at all. Many desperately wanted to vote the Democratic ticket but their consciences would not allow it. The book traces the meaning of disloyalty in the Union army and how it evolved by 1863-64 to include expressing, publicly or even in private correspondence, opposition to to the president or any aspect of his war policy. By mid-war, the army and its Republican civilian leadership thought such sentiments serious enough to warrant dismissal from the service, imprisonment, forfeiture of pay, and even execution (though eventually reduced to hard labor or some other lesser punishment). The Articles of War's limitations on free speech during armed forces service were used to cashier large numbers of Democratic soldiers from the rank of private on up to general officer. White documents innumerable examples in the book, from those courtmartialed to others dishonorably discharged having never been convicted by army judicial proceedings or even charged with anything. Calling what happened a ideological purge may be too much, but it would be interesting to compare the composition of the soldier electorate between 1861-62 and 1863-64, with perhaps significant weeding out of Democratic elements through desertion, resignation, discharge, and service death all combined with less proportionate replacement. Intimidation of Democratic voters is another major theme worthy of consideration when assessing the 1864 soldier vote. It is well known that the Lincoln administration blocked many Democratic papers from use of the national mail system, but White also documents the blocking of Democratic election materials from army camps and tampering with their ballot boxes by military officials. With the opposition party widely regarded as treasonable, Democratic electioneering was banned while Republicans were allowed free reign to express their political views. If they did not keep quiet, Democratic soldiers were routinely harassed and publicly humiliated by their officers. According to White's findings, even the regimental resolutions that were famously published in newspapers throughout the north, were often farcical in their presumed unanimity in war policy support. Officers pressured, threatened, and some even ordered, their men to sign the document while others manipulated the numbers to give the appearance of absent dissent. With the combination of army coercion and disgust with their own party's peace platform, it's no wonder many soldiers felt it better to be quiet and not vote at all. With White's study focusing exclusively on the army, it might be interesting to see if similar patterns emerged in the navy. White notes that the level of soldier vote abstention was even higher for the 1864 state and congressional elections preceding the presidential contest by mere weeks than it was for the critical vote for or against Lincoln himself. Turnout doubled between the two for the Democratic army vote, while Republicans saw an increase of 40%. White interprets this to mean that soldier Democrats felt deep disappointment in the Copperhead influence on the home front, but were profoundly invested in who would be the next commander-in-chief. Many believed that holding their noses and voting for Lincoln would best ensure that their sacrifices toward restoring the Union would not be vain, while others either abstained or felt comfortable enough to trust in War Democrat McClellan as a distinctive force outside the reviled peace elements of the national party platform. One might make the counterargument that the apathy Democratic soldiers felt toward their own party elections in 1864 and their votes for Lincoln meant growing ideological adoption of the full range of administration war aims but that would be ignoring the words of the soldiers themselves on the matter. The vital issue of reunion had the bipartisan support absent from other Republican goals and policies. The book also takes the voting issue into the post-war years, tracing legislative efforts to strip Civil War deserters and dishonorably discharged veterans from voting and holding office, even those never actually charged, tried and convicted. The author notes that both parties went back and forth on the issue in the decades after 1865, all according to which stance was politically expedient at the time. Finally, lest we be too hard on the Civil War era army, White also notes the logistical difficulties of ensuring current armed forces participation in U.S elections, which are typically characterized by low voting rates among service members, using today's technology. 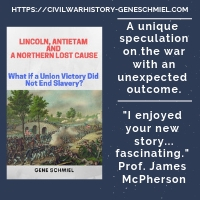 Emancipation, the Union Army, and the Reelection of Abraham Lincoln is one of those all too infrequent Civil War studies that rise up unannounced to challenge emerging arenas of consensus in the literature. Because of this, White's book should be regarded as essential reading for historians and amateur scholars alike. A deeply original and award worthy effort (certainly a leading contender for placement on year end 'best of' lists), it is highly recommended. Leigh: "TRADING WITH THE ENEMY: The Covert Economy During the American Civil War"
Intersectional trade during the Civil War was a controversial matter, often pitting the Lincoln administration and businessmen against military leaders and congress, although elements of the latter two were not above enriching themselves, family, and friends when the opportunity arose. 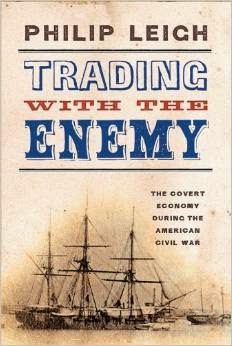 Philip Leigh's Trading with the Enemy: The Covert Economy During the American Civil War offers readers a general overview of wartime domestic and foreign commercial exchange in cotton. When it came to trading with the South, there was more common cause against it in the North during the early war period, when illusions of a short war existed. However, when the war dragged on and Union army and naval forces penetrated the cotton growing regions, the allure of speculative riches and the need to keep New England spindles running put pressure on the Union government to authorize a system by which licensed buyers, either treasury agents or civilians, could purchase cotton. Leigh begins the book with an overview of cotton's importance to international commerce. As we all know, fears that cotton shortages would induce France and Britain to recognize the Confederacy proved to be without foundation, but it seemed a legitimate concern at the time. The author also summarizes the evolutionary starts and stops of official US policy on the domestic cotton trade, describing the failure of the Port Royal Experiment and similar government sponsored endeavors in the Mississippi Valley to supply the North with enough cotton to eliminate the need to resort to legal and illegal trade with the enemy. Writing a comprehensive history of the covert economy would require a thicker tome than this one, but the author's focus on the busy ports of Matamoros, New Orleans, and Norfolk gives readers a sense of the scale of corruption and money involved. Intentional or not, each place serves as a case study for each of the three main theaters (with Matamoros uniquely vital to neutral trade with the South, as well). Leigh also follows the earlier work of Robert Kerby and others in describing how the cross-border cotton trade made the independent survival of the Confederacy's Trans-Mississippi department possible after the fall of Vicksburg. A common theme throughout the book is Lincoln's support for regulated intersectional trade and his belief that circulating greenbacks among the southern populace would undermine their support for the Confederacy and bring them closer to their former connections. With so much fraud and abuse involved, and comparatively few reaping the benefits, this idea seems not to have borne fruit. Typical of his management style, Lincoln was also liberal in handing out permits, withdrawing them only when the outcry from his military commanders and political allies could not be ignored. The larger point Leigh seeks to drive home is his belief that the Confederacy's war effort benefited far more than the North's from intersectional trade, its influx of desperately needed hard currency used to great effect in arming, equipping, and supplying its armies while the primary northern benefactors were individuals and the comparatively non-essential textile industries. This seemingly accurate interpretion may be an oversimplification, and, really, it is difficult to come up with good data, as smugglers did not keep records and even the paperwork associated with the legally sanctioned trade often did not reflect reality. More documentation detailing to what degree the two main Confederate armies were directly dependent on this trade is needed. As opposed to being a product of forensic historical accounting methods, much of the evidence presented in the book is anecdotal in nature, their origins traced to a single published source. But raising these concerns does not demean Leigh's thoughtful work, which effectively synthesizes the limited literature pertaining to the subject into an appealing and useful primer. 1. 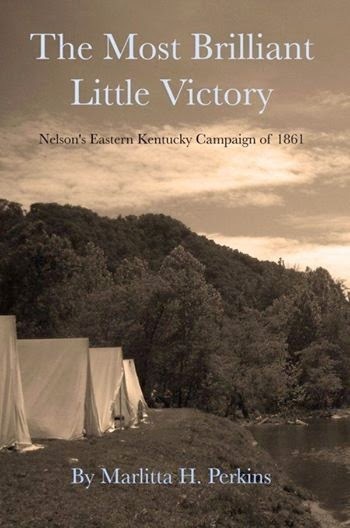 The Most Brilliant Little Victory: Nelson's Eastern Kentucky Campaign of 1861 by Marlitta H. Perkins (Lulu, 2014). Local historian Perkins is a dedicated digger for source material pertaining to the Civil War in East Kentucky, some of which she posts to her blog. Though the campaign was summarized briefly but well in Donald Clark's 2011 Bull Nelson biography, Perkins's history of the Big Sandy Expedition is the first book length treatment. 2. Gateway to the Confederacy: New Perspectives on the Chickamauga and Chattanooga Campaigns, 1862-1863 edited by Evan C. Jones and Wiley Sword (LSU Pr, 2014). This looks to be a fascinating group of articles. I like that it recognizes the campaign for Chattanooga as beginning in 1862 (there is a chapter covering Buell's advance) and many of the pieces are driven by subject themes differing from those present in other recently published Chickamauga-Chattanooga books and essay compilations. Robert Browning, the author of acclaimed histories of the North Atlantic and South Atlantic Blockading Squadrons, now has a release date for Lincoln's Trident: The West Gulf Blockading Squadron during the Civil War (Univ of Ala Press, Nov 2014). It's my opinion that Browning is the premier naval historian of the Civil War currently at work so I'm greatly looking forward to reading this trilogy capstone.